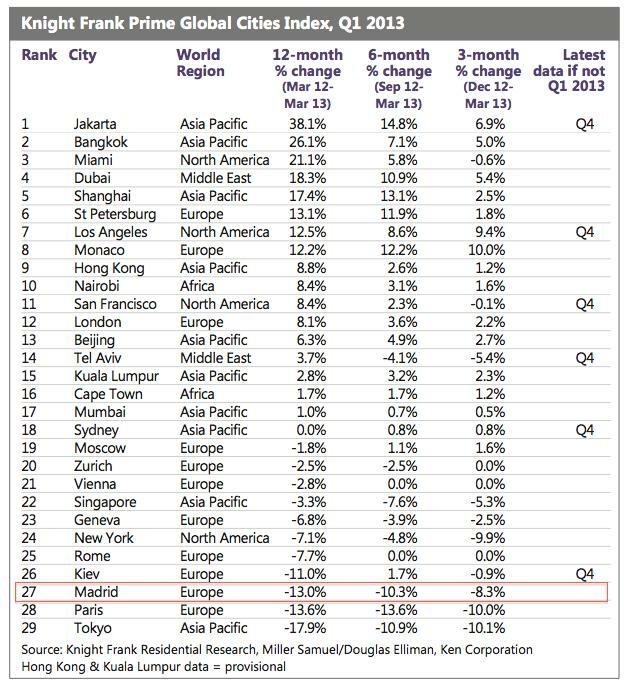 Rather than use the headline to lead with the unsurprising fact that Madrid was one of the worst performing prime property markets in the world in Q1 2013, according to the Knight Frank Prime Global House Price Index, I thought I’d lighten the bad news by pointing out that Madrid did better than Paris 😉 , which came as a sort of surprise to me. Another quarter, another table with Madrid at the bottom of the class. 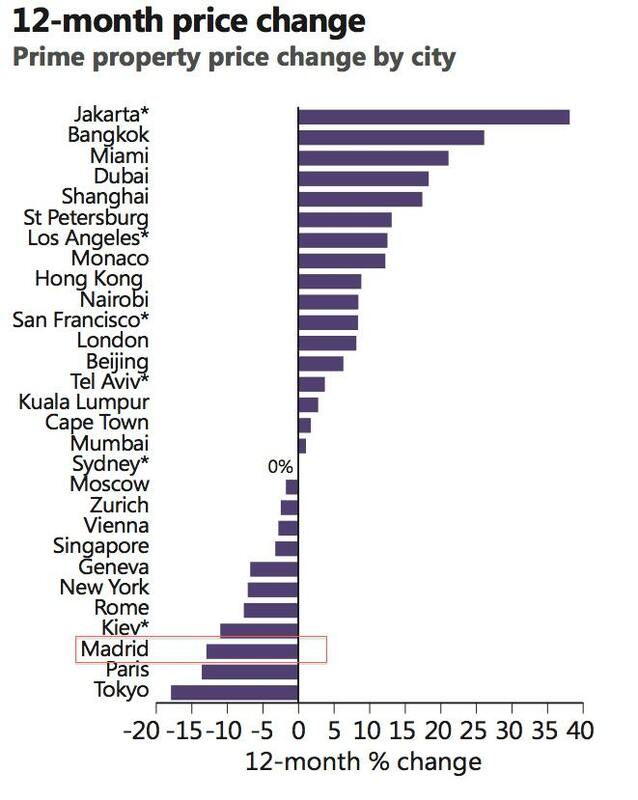 But it’s interesting to note that Dubai and some US cities, all of which went through the boom and bust cycle that Spain is going through, are already out of the woods and back to double-digit price increases (good for investors, bad for first time buyers). Also a surprise to see Zurich and Geneva in negative territory. Prime properties are always gilt edged in cities around the world.Specially in bad times. The percentages increase/decrease also depends on the base level they are being calculated from.